Drug gangs in the United States are moving to new markets, with the help of Chinese factories. Their new target is counterfeit pharmaceuticals, and their new victims are the vulnerable: cancer patients, the elderly, hospitalized children, and folks who otherwise can’t afford medication. Criminal organizations are being drawn to the allure of the new market, which brings less legal risk and higher profits than illicit drugs. Chinese companies, meanwhile, are operating with little oversight and outside the reach of U.S. law. “Not only do Chinese chemical companies sell precursor materials to the Mexican cartels and synthetic drugs directly to the European and American markets over the Internet, but are also actively involved in cloned pharmaceuticals production,” said Robert Bunker, adjunct professor at the U.S. Army War College Strategic Studies Institute, in an email. Cases of smugglers trafficking fake medicine are growing more common. In early October, three Texas residents were indicted for allegedly trying to smuggle at least 30 shipments of fake pharmaceutical drugs—close to 100,000 pills—into the United States from China. The smugglers allegedly told U.S. Customs the boxes were “gifts” and “toys.” Inside, however, were fake versions of drugs including Xanax, Valium, Sibutramine, Cialis, Viagra, and Ambien. The drug containers had fake labels so buyers wouldn’t know the difference. “This indictment of the three east Texas residents is a clear case of the forces of dark globalization at work,” said Bunker. The market for counterfeit pharmaceuticals is booming, with sales estimated between $23 billion and $24 billion a year, according to MarketWatch, which notes close to 8 percent of the drugs are illegally smuggled or purchased by Americans. “We’ve seen some of these organizations that used to traffic in cocaine, for example, or marijuana turn to this and it’s fast money and it’s easy,” Bruce Foucart, special agent in charge at U.S. Immigration and Customs Enforcement, told MarketWatch. “The bottom line is that people believe they know what they’re purchasing, but they don’t know what they’re gonna get,” Foucart said. 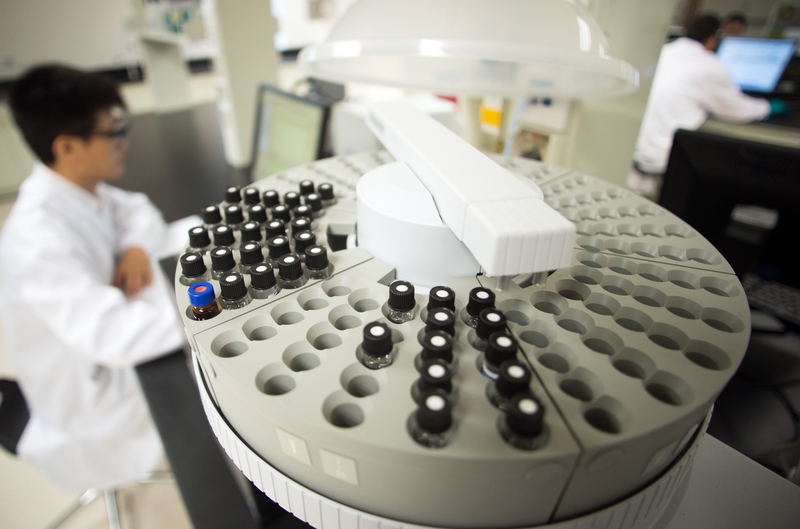 The growing problem of counterfeit pharmaceutical drugs was given a full subsection in the 2014 report from the U.S.-China Economic and Security Review Commission. The annual report on threats from China and recommendations for Congress warns that Chinese pharmaceutical companies are operating with little regulation and few inspections, and are pirating U.S. medicine for profit. While Chinese officials said the problem was going away, evidence shows the problem is only growing, according to the report. “China is ‘the largest manufacturer of fake drugs in the world,” said Roger Bate, a counterfeit drug expert and visiting fellow at the American Enterprise Institute, according to the report, which notes 79 percent of counterfeit pharmaceuticals seized in the United States by 2008 were shipped from China. Part of the problem stems from China’s massive and growing drug industry. It has close to 4,000 manufacturers, 400,000 retail pharmacy shops, and 29,000 firms involved in shipping medical products. “Since most suppliers in China sell to other businesses downstream instead of directly to the consumer, they are easily missed by regulators,” the report states. Adding to the problem, it states, the U.S. Food and Drug Administration (FDA) has only three drug inspectors in all of China—only two are full-time. The problem stems from the Chinese regime refusing to grant the FDA additional visas for inspectors. The lack of oversight gives rise to many problems. Some Chinese factories mislabel their products, the report states, such as saying “Made in India” instead of “Made in China,” to avoid detection. Many other Chinese chemical companies run “gray markets,” which are common practice among Chinese factories. 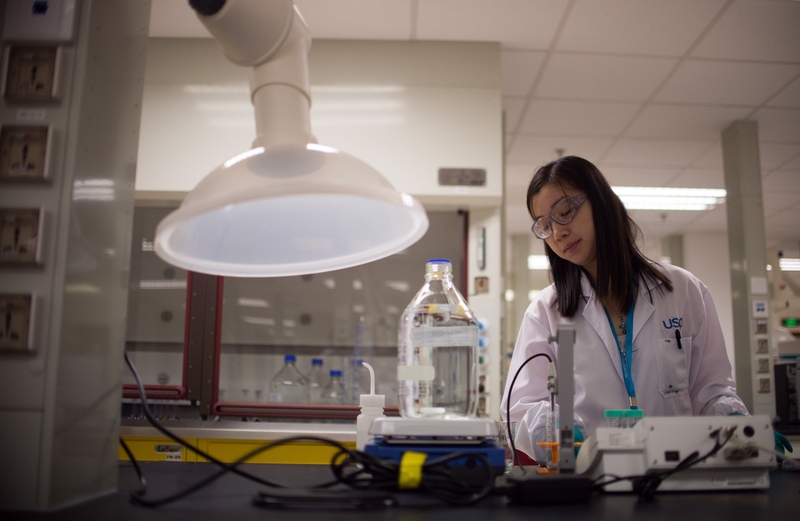 According to the report, chemical producers in China that are licensed to supply ingredients to foreign firms are producing products for other companies by day, then running their own productions of the same products by night. The combined effect of poor oversight, corrupt business practices, and the allure of a profitable market is already affecting U.S. consumers—sometimes with deadly effect. At least 81 Americans died between January 2007 and May 2008 from contaminated heparin, a blood-thinning agent. The heparin was sold by a U.S. company, but an investigation found a Chinese company in its supply chain had intentionally replaced an ingredient with a counterfeit substitute to cut costs. The heparin case “had a huge impact on the product in the United States,” said Eric Yeh, a pharmaceutical science professor at Long Island University, in a phone interview. Yeh said that even if consumers are buying legal drugs from approved companies, but are going through sources outside the United States such as Canada or Mexico, the products can differ wildly. “Each country has different regulations, so the manufacturing process might not be the same,” he said, noting this can affect the dosage. 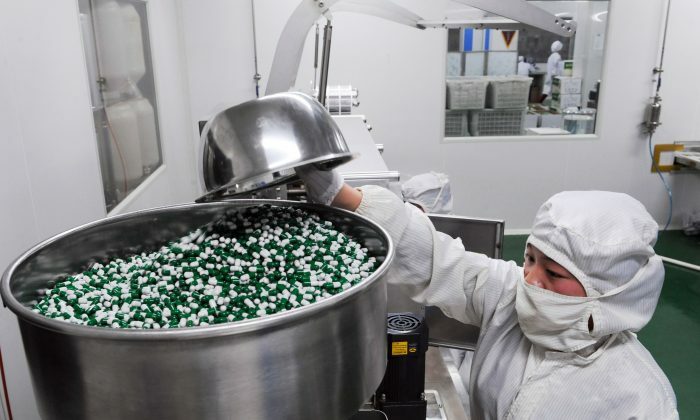 China is the primary source for pharmaceutical drug ingredients in the United States, yet lack of oversight in China is endangering the entire drug market. The Chinese Communist Party, meanwhile, has impeded U.S. attempts to ensure the safety of its drugs and ingredients. U.S. Congress tried fixing the problem of China’s counterfeit market for pharmaceuticals by passing bills, such as the FDA Safety and Innovation Act (2012) to help the FDA monitor drug safety, yet it accomplished little due to the Chinese regime’s restrictions on inspectors. “Chinese authorities acknowledged that heparin produced in China contained harmful ingredients but never accepted that the contaminated drug caused the deaths” associated with the drug, states the report. Cases don’t end at heparin, either. Common tainted drugs are “lifestyle products,” such as Viagra and weight-loss pills. According to the report, a Texas emergency room doctor nearly died in 2009 after taking fake Chinese weight-loss pills he bought from eBay. When the FDA investigated the tainted weight-loss pills, they traced them to a Chinese national, Shengyang Zhou, which was selling the drugs in the United States by using a middleman. The report states he made millions of dollars selling counterfeit drugs, which he manufactured in a small factory in Southwest China. Zhou was also taking frequent trips to the United States, where he was purchasing real drugs that he then used as templates to make his counterfeits back in China. A meticulously-researched record of repression, torture, and murder by the Chinese Communist Party in more recent years, witnessed by persons directly involved.